Why are we so obsessed with year-end top 10 lists? Well, for one, we love to rank things, especially subjective things that we can savagely argue about. I think another, more optimistic reason is that it’s an excuse to pause and reflect. In our present, culture comes at us rapidly. There’s always something new for us to watch, listen to, or read. The latest buzz-worthy film, album, or book is just around the corner. Everybody and their mom has a top 10 list at the end of the year, and while I would typically abstain on account of “why does the world need another one of these?”, I can’t help but think this idea of reflection in a Internet-driven, on-to-the-next-one world is increasingly important. It’s a way for us to stop for a minute and glance behind us, a way to mark the time passing us by. For myself, it’s an easily-accessible time capsule that I can open up to see what kind of year we had at the movies in 2014. So what kind of a year was it? On the one hand, I ranked Gone Girl – David Fincher’s funny, pitch-perfect take on Gillian Flynn’s darkly satirical book – my fourteenth favorite film of the year. Was there a vast gap between that and my number one choice? I would say not really, at least less so than in most years. Suffice it to say, this was a crowded field. Narrowing this group of features and documentaries to ten made for an exceedingly difficult task. Yes, some films were clearly superior in my mind, particularly the top three. However, I didn’t find this to be a year with one true standout, as opposed to last year (Gravity) or 2012 (Zero Dark Thirty). Now, my top films of 2014 (with a few other recognitions). 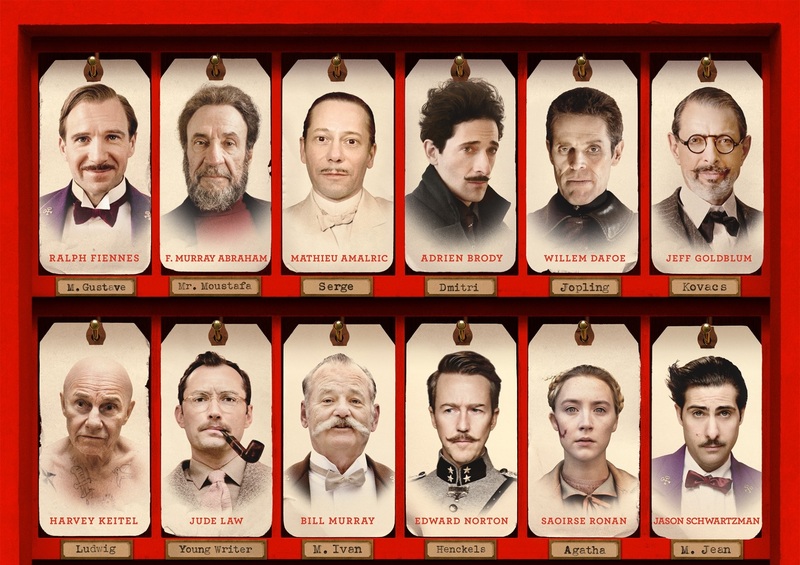 It’s interesting that this is the Wes Anderson film that has captured the attention of the Academy. Not many would’ve predicted it would see 9 Oscar nominations. Certainly not my favorite Anderson effort, but the remarkable cast, amusing imagination, and deft, humorous touch with heavier themes make it another winner from Wes. Speaking of heavier themes, Calvary has them in spades. As a Catholic priest, Brendan Gleeson delivers a spellbindingly complex portrait of a man full of integrity and doubt. Although this is Gleeson’s show, writer-director John Michael McDonagh (he’s also responsible for the little-seen yet delightfully underrated The Guard) deserves a heap of praise for his immersive visuals and finely-sketched characters. It’s difficult for me to think of a more electric and punishing visual depiction of what it means to pursue greatness. Here it’s jazz drums, but it could’ve very well been anything. 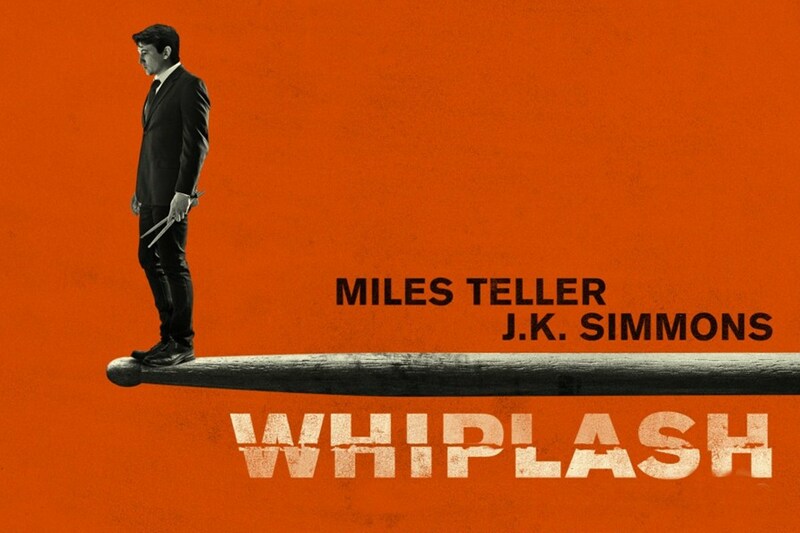 Young Damien Chazelle’s editing, writing, and direction all contribute mightily to this fantastic head rush, but the performances from Miles Teller and soon-to-be Oscar winner J.K. Simmons keep you transfixed despite the physical and emotional bloodsport you see on screen. The most stunningly original world I witnessed this year, Snowpiercer is a fully realized epic set almost entirely inside a train. Writer-director Bong Joon Ho stitches together a massively compelling adaptation of a French graphic novel with memorable characters, while Chris Evans blows up any previous notions you had about his career. Sure, it’s quite obvious about its capitalist allegory and your suspension of disbelief must be high, but who cares when the ride is this bizarre, fun, and thought-provoking? 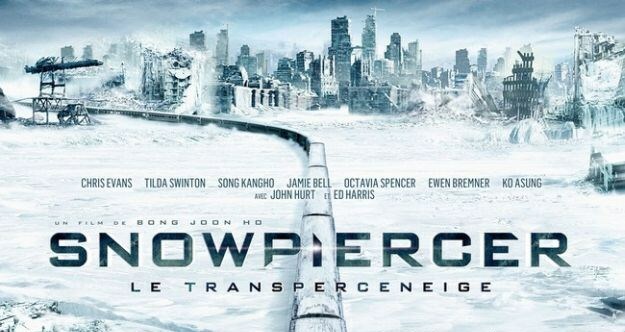 Snowpiercer‘s budget was by no means exorbitant, but another sci-fi mindbender this year somehow wrought just as much intrigue, terror, and emotional torment out of a production with much less resources to spare. Coherence, made for just $50,000 and largely improvised over just a five-night shoot, announces writer-director James Ward Byrkit as an intelligent filmmaker to keep an eye on. His movie expanded what I assumed tiny-budget genre cinema could provide. Edge of Tomorrow suffered from a lousy title and generic marketing. The alternate title – “Live Die Repeat” – is much, much better, and if the TV ads would’ve revealed a little more of the narrative style, this could have been a smash hit. Or maybe it was simply Tom Cruise Fatigue. Either way, this remains a superior blockbuster to anything else we saw last summer. Doug Liman – who has become perhaps the most hit-or-miss director working – fashions a splendid conceit in which Cruise and Emily Blunt show off some of their best stuff. Yet another sci-fi on my list (sorry), Christopher Nolan created the best mainstream film I saw this year. Some may have found it ridiculous in stretches (I wouldn’t necessarily argue), but no piece of cinema made me more thankful for the big screen and audacious storytelling. 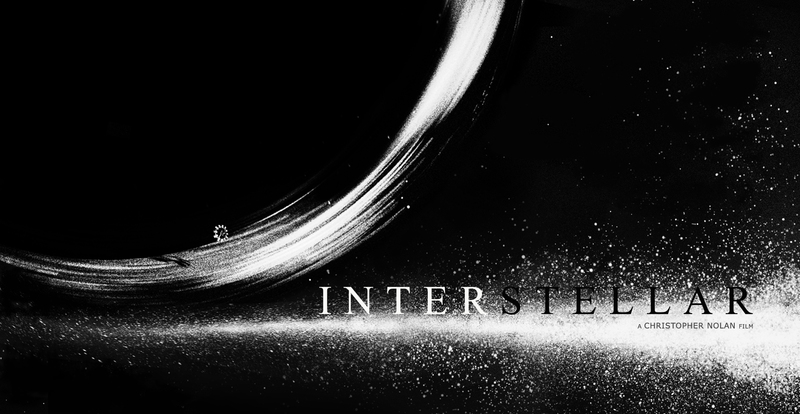 Nolan’s visuals are, as usual, arresting and original and absorbing, but the risks he and his brother wrote into the Interstellar screenplay paid off for me, while McConaughey anchors it all excellently. Nolan continues to push the boundaries of big-budget moviemaking. Boyhood is the kind of film that anyone can feel something for – and yet, not anybody could make. The production here is no gimmick. Richard Linklater and his crew dedicated 12 long years and came out with a masterpiece. With a different filmmaker, it could have been contrived or over-sentimental, but because of Linklater and his excellent cast, you’ve hardly been more astonished and moved by such an “ordinary” story. Talk about extraordinary. 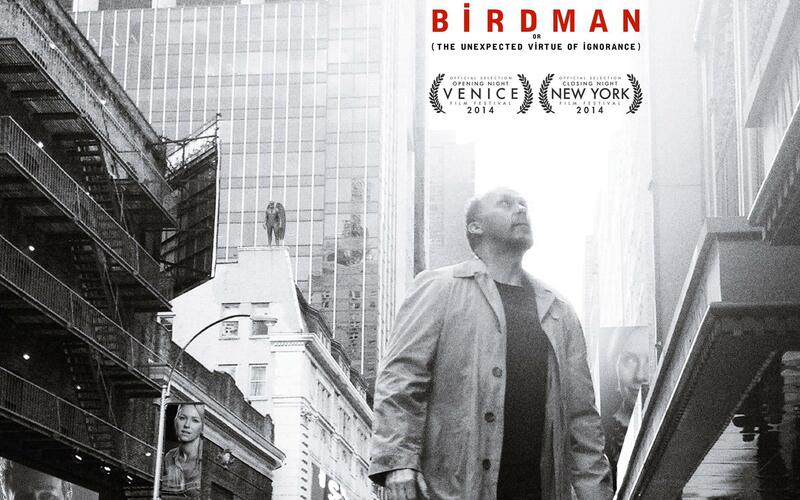 Director Alejandro Gonzalez Inarritu went from depressing, everything-is-connected dramas to a highly specific, hilarious, and spectacular piece of cinema. Since the entire thing is presented as one (glorious) take with no edits, this is an actor’s showcase, and man, does everyone bring it. Keaton, Norton, and Emma Stone have all received deserved praise, while Naomi Watts and Zach Galifianakis sketch out two other fantastic characters. This was a bar-raising film for Hollywood. Walking into the theater, I’m guessing you were like me: not sure at all what you expected to see. The trailer was intriguing, sure, in a vaguely ominous and enticing way. Jake Gyllenhaal was in it and he was quite skinny, his face sunken and just slightly inhuman. The shots of Los Angeles at night were somehow alluring and repelling at the same time. We knew we couldn’t expect much from first time director Dan Gilroy, who only had experience as a hired hand writing middling action movies, but man, did that hand seem confident and steady in this movie. Maybe you walked out a little shaken, but quickly able to shrug it off and grab a pint with friends. I walked out certain I had never seen anything quite like it before. Gilroy had created a character study of a highly-functioning sociopath that shook me up and left me spellbound. Gyllenhaal has never been better, every shot is excellently composed, and the careful skewering of capitalism and our TV news as entertainment was expertly laid out. 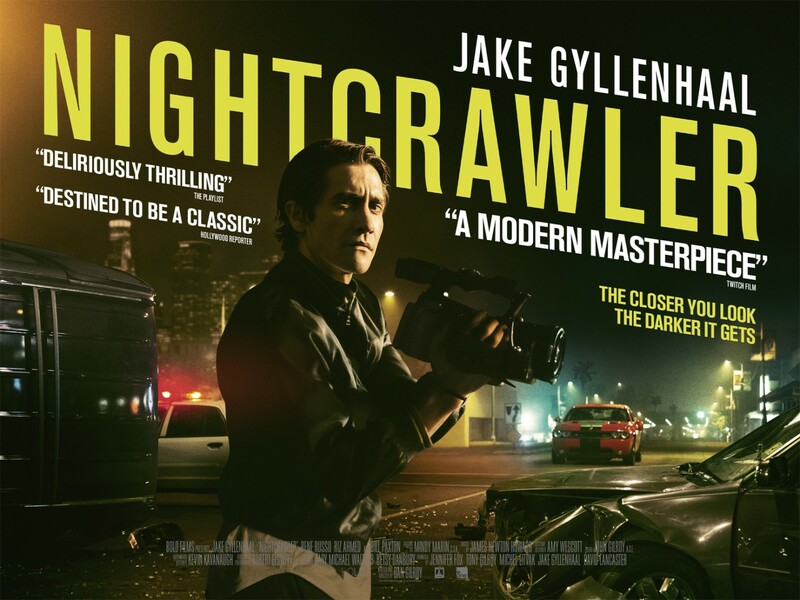 Part noir, part monster movie, Nightcrawler affected me like no other film this year.